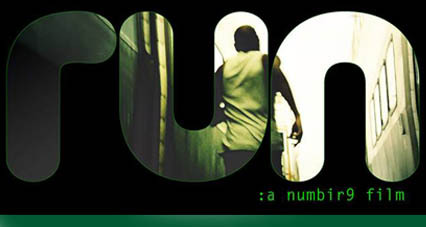 “Run,” a new short film by Mehran Torgoley of numbir9films, has been making its way through the film festival circuit in Los Angeles this summer. Llana Barron was the sound designer on the project and composed an original piece of music for the ending credits. Comedian, Lyndel Pleasant, who plays the film’s leading role, gives a spectacular and dark performance of a man being hunted. The film had its first film fest premiere at the Los Angeles Cinema Festival of Hollywood in July. In August, the film will be on the big screen once again, this time at the Holly Shorts Festival in L.A., at The Chinese Theaters in Hollywood. “Run” will premiere as a part of the festival on Sunday, August 18, 2013. For schedules and ticket information, click here.